Through our friends at Ape Suit Cinema, I now have this bit of ape-ish awesomeness to share with you ! 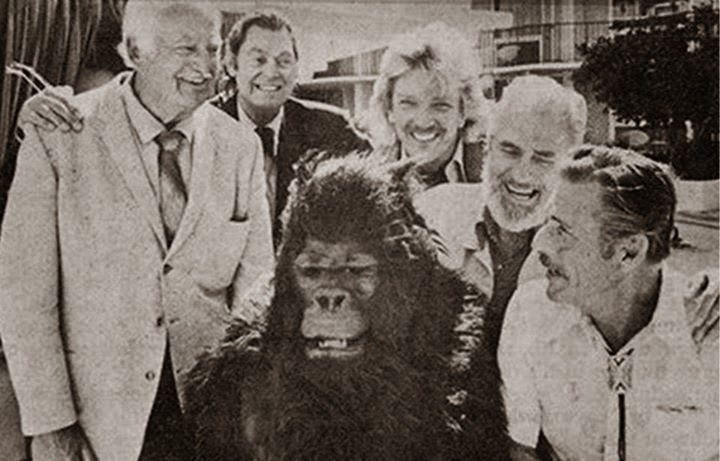 On September 1st, 1975, Los Angeles was invaded by not one, but five cinematic ape men, to celebrate the 100th Birthday of Tarzan's creator Edgar Rice Burroughs ! 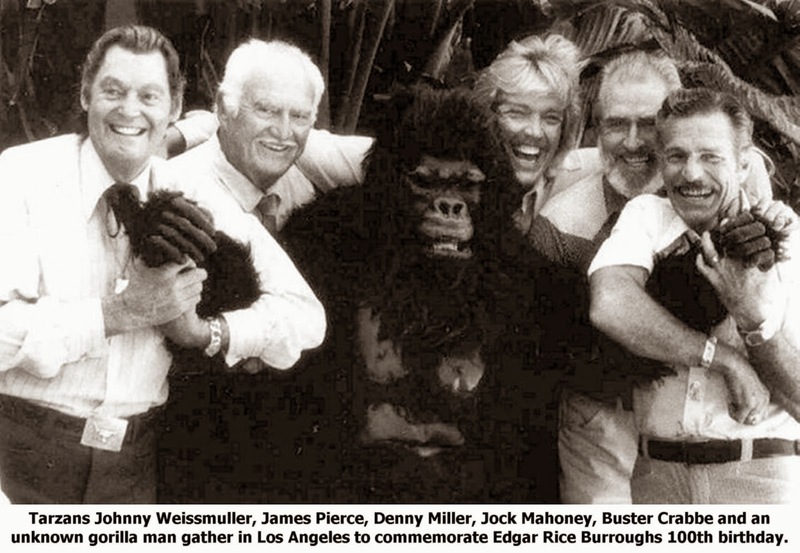 Tarzan's in the personage of: Johnny Weissmuller...James Pierce...Denny Miller...Jock Mahoney...and Larry "Buster" Crabbe were on hand to commemorate the birth of the literary father of Tarzan. 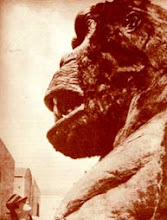 Of course you can't have all these "Lords of the Apes" around without an ape to lord over...so enter the gorilla ! It's not known who is in the suit, but what I can tell you is that the suit was made by the famous Western Costumes of Hollywood. 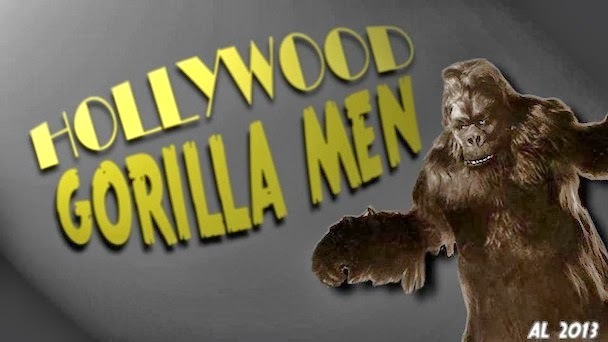 This Western Costumes gorilla suit and all the others like it were used frequently in Hollywood in Low budget Jungle and adventure pictures. 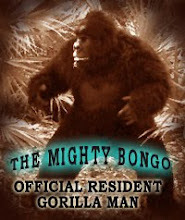 The higher budget pictures would employ one of the professional gorilla men we celebrate on this humble site. 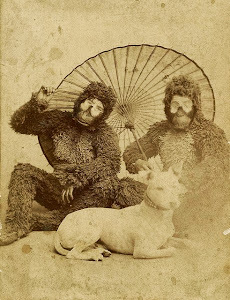 The Western gorilla was sometimes used in conjunction with a pro gorilla man as an example of a fake gorilla suit, while the pro portrayed the real gorilla. A great example of this is the 3-D classic "Gorilla at Large ".